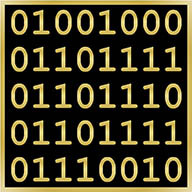 The Pledge of the Computing Professional is an organization to promote the notion of computing as a recognized profession at the time of graduation for students in Computer Science and related programs. The Pledge is modeled after the Order of the Engineer – a long-standing rite-of-passage for graduates from engineering programs. The Pledge of the Computing Professional is solely intended to promote and recognize the ethical and moral behavior of graduates of computing-related degree programs as they transition to careers of service to society. For further information about The Pledge of the Computing Professional contact Ken Christensen (christen@cse.usf.edu) or John K. Estell (j-estell@onu.edu). The site webmaster is Becky Grasser (webmaster@computing-pledge.org). We look forward to hearing from you.